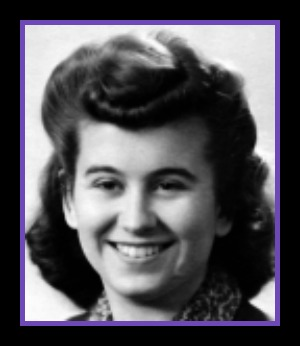 La Vonne "Lonnie" Smith, 89, was born in Iowa in 1923 to Florence M. and Orville L. Schopp, and passed away Monday, July 23, 2012. Lonnie lived most of her early life on the Central California Coast in the Santa Maria, Arroyo Grande and Nipomo area. She met her true love and future husband, Dorman Smith, while attending Arroyo Grande High School. The crisis of Pearl Harbor and subsequent events of World War II brought them together in marriage, practically right out of high school. Lonnie accompanied Dorman, an expert aviator, to his base when he was drafted as a flight instructor in the military. While they were away on military assignment, their daughter Carol was born. After the War, they returned home to the Central Coast, and later moved to Hanford, Calif., with Carol. In Hanford, Lonnie''s encouragement and Dorman''s enthusiasm led them into success as trusted community members, prominent in ranching, real estate and land development. However, Lonnie still made time for her own ambitious long-term medical career. She trained and worked as a medical lab technician and x-ray technician with various hospitals and doctors, including Dr. Guernsey and Dr. Hall in Lemoore, Calif.
Dorman and Lonnie were so close, their friends joked that they seem joined at the hip. It''s impossible to do justice in describing her full life without including Dorman in almost every aspect. Dorman, her husband of almost 66 years, recently preceded Lonnie in death. Even with all the time this couple was busy working, they kept their love and friendship alive doing family activities they shared between themselves, their daughter and frequently, other family members. Lonnie shared Dorman''s passion for flying, as well as their common interests in horseback riding, water skiing, camping and, of course, they especially enjoyed spending the holidays with family. The family would like to extend special thanks to Lonnie''s doctors, her wonderful supportive friends in Hanford, especially "The Breakfast Club" (You great people know who you are and you kept Lonnie active and involved after Dorman''s passing!). A grateful thank you to her caregivers Lori, Jasmine, Sammy and The Adventist Health Hospice of Hanford. THANK YOU! Lonnie is survived by her only daughter, Carol Smith Breckenridge and her fiance, Victor Pasnick of Fresno, Calif.; grandson, Devlin Breckenridge of Washington, D.C.; and granddaughter, Heather Breckenridge Hart (Shane) and their two children Shannon and Tyler Hart, all of Fresno. Lonnie also leaves her sister, Arlene Flory (Jim) of Nipomo; brother, Darrel Smith (Phyllis) of Sacramento; and many nieces, nephews, great nieces and nephews and several great-great nieces and nephews. Viewing will be from 4 to 7 p.m. Friday, Aug. 3, 2012, at the Phipps-Dale Funeral Chapel, 420 West "D" St. in Lemoore. A graveside service will be held at 11 a.m. Saturday, Aug. 4, 2012, at the Arroyo Grande Cemetery. Phipps-Dale (559) 924-5611 Lemoore, Calif.